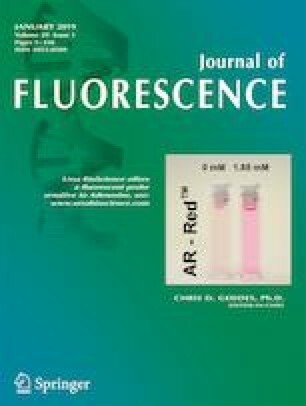 Lysosome selective bright orange-red emitting flavonoid (2) was synthesized by attaching a strong donor (NPh2) group into flavonoid skeleton. As a result of efficient intra molecular charge transfer due to the strong donor group, a significant bathochromic shift was observed from the emission of 2b (with a –NPh2 group, λem ≈ 590 nm), in comparison that of 1b (with a –NMe2 group, λem ≈ 519 nm). The role of the substituent effect towards ICT was further studied by low temperature spectral analysis. Fluorescence spectra at low temperature confirmed that large Stokes shift for probe 2 (Δλ ≈ 150 nm) was due to strong ICT. Probe 2b exhibited exceptional selectivity towards cellular lysosomes in live cells studies thus generating bright orange-red emission upon localization. Intra-cellular pH analysis results confirmed that probe 2b did not participate in the elevation of lysosomal pH upon staining with different probe concentrations (0.5 μM – 2.0 μM) which is a potential advantage compared to acidotropic commercial LysoTracker® probes. This study further illustrated that the substituents in probe 2 play a significant role towards probe’s organelle selectivity since probe 2a (R = OH) did not show any lysosomal localization compared with 2b. In addition, the calculated cytotoxicity data further revealed that this new probe design is highly biocompatible (LC50 > 50 μM) and suitable for long term imaging. The online version of this article ( https://doi.org/10.1007/s10895-019-02371-7) contains supplementary material, which is available to authorized users. We acknowledge partial support from Coleman Endowment from The University of Akron. We thank Nicolas Alexander from The University of Akron for acquiring mass spectra data. We also thank Hannah J Baumann from The University of Akron for conduction MTT cell viability assays. The NHLF cell line was a kind gift from Dr. Sailaja Paruchuri at The University of Akron.